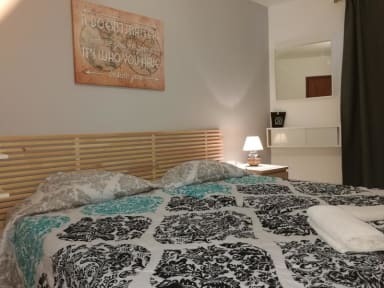 Lagos City Center Guest House & Hostel, Lagos, Portugalia : Rezerwuj teraz! The hostel/guest house is distributed over three floors, has a reception and a ticket shop, 2 dormitories and several private rooms and apartments, ALL WITH PRIVATE BATHROOM, with air conditioning in all rooms, we also have beverages for purchase. 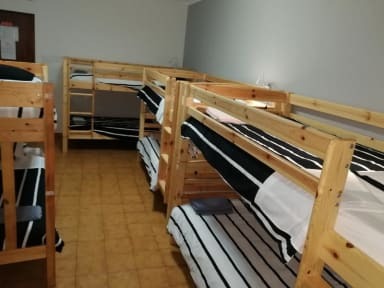 The rooms are equipped with new furniture, with all you need, access to TV in the pvt rooms and apartments, free Wi-Fi and kitchen , there are lockers at a cost of one euro a day . This is the perfect place to enjoy, close to several bars, shops.... We are in The Center of Lagos. Its perfect city for a fun vacation. In a range of 300 metros you have Parking in a Public Area, Hospital and Pharmacy. Check-in time starts at 2 pm and ends at 11 pm (late check in, contact us). Please note that any check in after 12pm have an extra cost of 15 euros. Payment upon arrival by cash, credit cards, debit cards only payments more than 25 euros. This property may pre-authorize your credit card before arrival. No pets and no animals are allowed at this property. Non smoking rooms, smoking areas outside.